Whether you want light refreshment, the perfect complement for food or a surprisingly delicious cocktail base, the selection of sodas here at Serious Chai are excellent choices. These craft beverages are made in small batches. Ingredients are fresh, processes are closely monitored and the trip from bottling to you is quick and direct � without long stops in warehouses. Available in fruit flavors, as well ginger ale, root beer and cola, Serious Chai sodas consist of simple, high-quality ingredients, resulting in a natural taste and healthy nutrition. They contain little or no artificial sweeteners, flavors, color or preservatives. Kosher, vegan, gluten-free, GMO-free and caffeine-free selections are available. 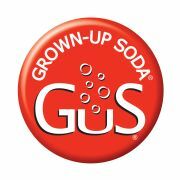 One brand, GuS Grown-up Soda, blends flavors with seltzer and a light infusion of cane sugar, about 40 percent less sugar than typical sodas. Each 12-ounce bottle contains 90 to 98 calories. Because of their crisp, dry taste, GuS drinks complement rather than compete even with fine cuisine. GuS has been on the menu at one New York City restaurant for 12 years.